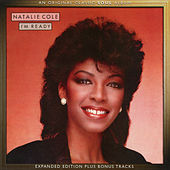 Natalie Cole started out as a R&B chart topper, got bogged down in Hollywood excess, and then pulled herself out by the bootstraps by visiting the same classic Jazz Pop vein as her legendary father, Nat "King" Cole. Lately, she's returned to the adult Soul fold infused with style and grace. Think Sade after an espresso or two.